Superstar Shah Rukh Khan is gearing for the release of his upcoming film ‘Zero’. The makers are also set to unveil the trailer on his birthday as a treat to his fans. Today, the ‘Raees’ Khan has shared two posters of his upcoming film and introduced the leading ladies Katrina Kaif and Anushka Sharma. If the posters created a buzz on the social media, then the next picture shared by SRK has caused a meltdown. This picture is of the Badshah with good friend Aamir Khan and fans are over the moon to see them together. 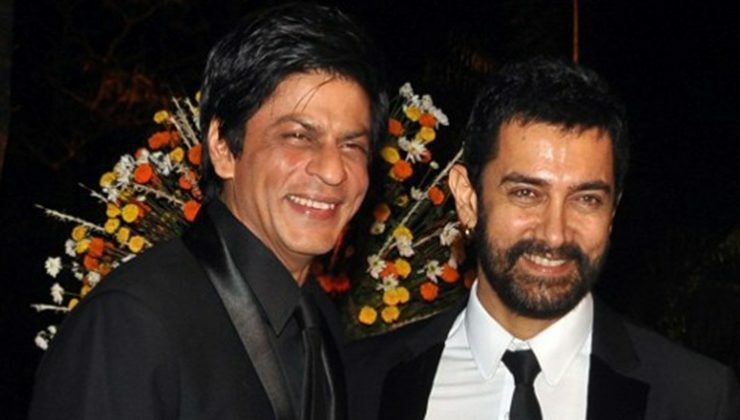 Shah Rukh Khan had invited Aamir to watch ‘Zero’ trailer at his palatial home Mannat. He wanted the Perfectionist’s opinion on the subject and looks like Aamir was over bowled by the trailer for he soon shared his feedback with a tweet. Aamir stated that Shah Rukh has outdone himself in the Aanand L. Rai directorial. ‘Zero’ features Shah Rukh Khan, Katrina Kaif and Anushka Sharma in pivotal roles. The ambitious project has been helmed by Aanand L. Rai and will see Shah Rukh play the role of a dwarf. It is slated to release on December 21, 2018.